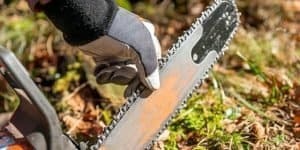 Just because an individual has a need for a chainsaw doesn’t necessarily mean they have to go out and spend hundreds of dollars for a new one, especially in this day and age where many people are still feeling the effects of the roller coaster ride of the economy. There’s quite a few people out there who are on strict budgets, and it’s completely understandable. So, with these guidelines in mind, we set out to find the perfect chainsaw that would meet all of these requirements. 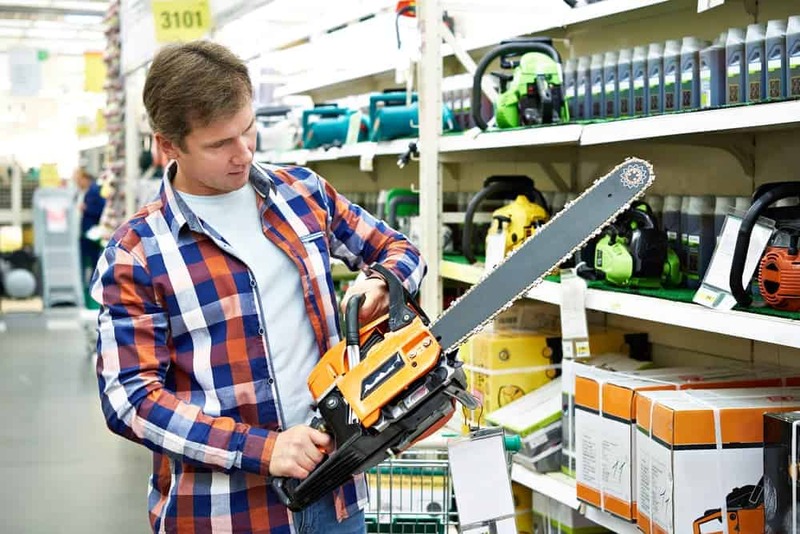 We took care of all the research legwork so that you can save yourself the time and be able to find the perfect chainsaw for anyone on a budget. 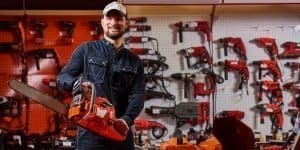 If this is going to be your first time buying a chainsaw, we want to assure you that you most definitely do not need to feel bad for not going for one of the most expensive chainsaws available. 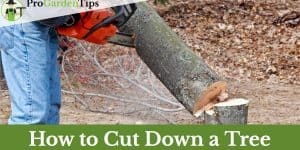 While chainsaws, like most things, generally tend to be of higher quality as the price value increases, for the average homeowner, you just don’t need that much chainsaw. The more expensive chainsaws are mainly ideal for heavy-duty log cutting work and other similar fields. 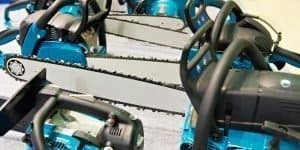 If you are just looking for something that you can conveniently use to clean up your property or handle a few minor projects, then you can find a perfect chainsaw for less than $100. So, whatever you do, even if you decide not to go with the chainsaw we’re going to recommend, don’t let anyone talk you into spending more than you have to on a new chainsaw. 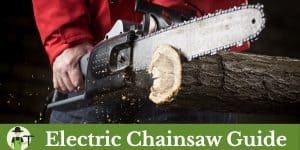 Sticking within this price range of under $100, we’ve opted to select an electric chainsaw as opposed to a gas-operated one. 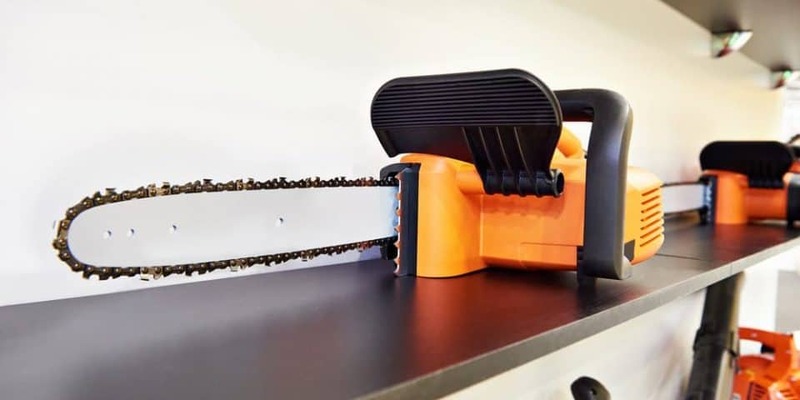 That’s not to say that gas chainsaws aren’t any good (far from it, in fact), just that the options for this budget usually aren’t the greatest. 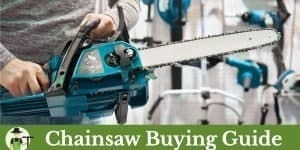 Gas chainsaws tend to pack a bit more power and are more complex, causing their price tag to be higher. The next decision was selecting the blade bar length. When we considered the requirements for the average homeowner who is tackling some very basic work, we settled on going with a 16 inch bar. It’s recommended that the bar length be about two inches longer than the diameter of whatever you’re cutting. In our opinion, going with 16 inches is generally a safe middle ground to stick with. And finally, we wanted to make sure that the chainsaw would have adequate power to meet your needs. 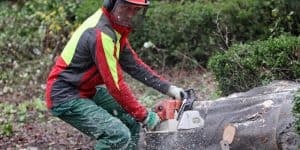 While it’s true that gas-operated chainsaws tend to be more powerful than electric or battery chainsaws, that doesn’t mean the electric varieties won’t get the job done. So, with an electric chainsaw in mind, we knew we wanted at least a 12-amp motor to ensure it would be powerful enough. With all of these requirements checked off, here is what we believe to be, without a doubt, the best cheap chainsaw available today. As you can see, this chainsaw is the perfect entry-level option for homeowners seeking a budget chainsaw. It has enough power thanks to the 12-amp motor to handle all of your yard work needs while still being extremely easy to set up and use. There’s nothing complicated with this chainsaw that’s for sure. 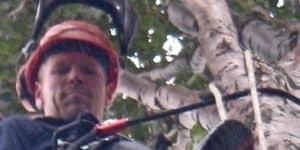 The only noticeable downside is shared with all electric-operated chainsaws—the need for extension cords so you have somewhere to plug it in if you are working further away from your house. Other than that, this chainsaw will easily meet all of your needs and it comes with our highest recommendations. You don’t have to spend hundreds of dollars to get a high-quality chainsaw. With options like the Earthwise CS30116, you can get everything you need from a chainsaw for well under $100 without sacrificing on quality. 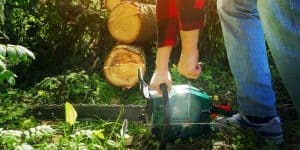 If your budget is a little bit higher, on the other hand, you may want to look into a cheap gas-powered chainsaw option. 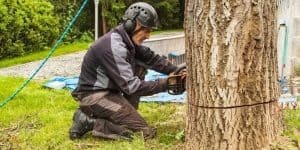 Not to worry—we’ve got an article on here that will help you choose the best gas chainsaw for the money as well.